Five organic lentils, in white; the copper leaf gives a turquoise-green patina. They measure approx. 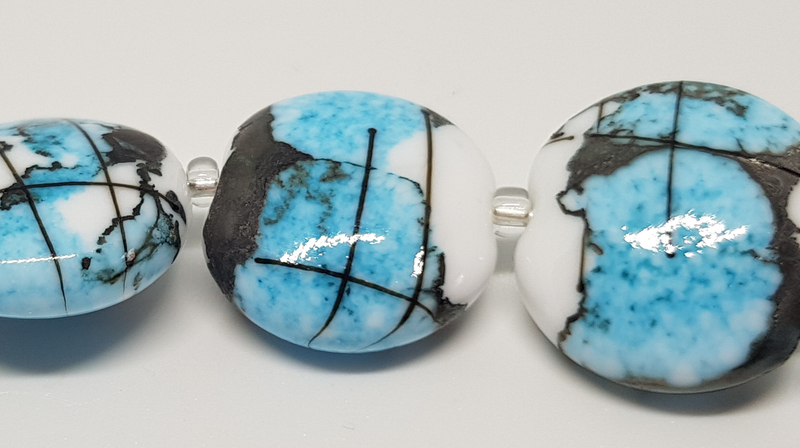 17mm in diameter with 1.6mm holes. 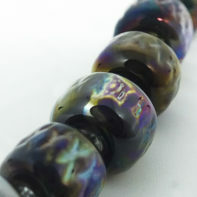 These beads can be made to order but allow up to two weeks for delivery.